In North America he is most often depicted as being taller than his disciples, lean, with long, flowing, light brown hair, fair skin and light-colored eyes. And I can also assume that the historical Jesus was well built ,like most of the ancient "Tekton" - or builders- who depended on their physical strength in their labour. with an average height shorter than (1.78m) or 4 cubits. it was used as an ancient module to insure privacy above the average eye level. the historical Jesus would look much different than his stereotyped popular figure. I assume that Paul was not talking about a local costume or hairstyle for Greek corinthian people,But he was emphasizing a general "masculine" common sense from his own perspective, about how "appropriate" the first century male figure should be. it's highly unlikely that 1st century Galileans-Includind Jesus- had ((long hair)),otherwise this letter would have sent a hidden insult to the living disciples (Peter,James and maybe others). But it's highly probable that it was short,unlike early medieval art depictions. The Mark quote doesn't say whether he had a full head of hair or not! No mention of hair at all, in fact. Why would Paul have worried about insulting people? He did it when he was in the mood, wishing, for instance, that his opponents in Galacia would castrate themselves (Gal 5:12), and implicitly comparing them with the local priests of the Magna Mater, who did exactly that. He had a pretty rocky relationship with the Jerusalem apostles, including Peter, who he calls a hypocrite on one occasion (Gal 2:11-14). 1 Corinthians 11:5 relates to Roman or Greek custom, it isn't universal. Every culture, for instance, does not regard short hair as normative for men! that the woman -in Mark 14:3- broke the jar and poured the perfume on his hear. Why would Paul have worried about insulting people? I guess because Jesus was an average Galilean man like his disciples ,So Paul can not pass an insult purely on physical appearance . thus the Jewish priests needed a sign in the garden of Gethsemani,or the notorious Judas kiss. In my humble opinion having long hair was not the trend in 1st century for an average Jewish galilean man. only a "Nazir" was eligible to leave his hair to grow and restrain himself from drinking wine. this clearly didn't fit Jesus profile. All of which adds up to nothing at all. If you have no information on ancient Galilean hairstyles, why not say so? I still think it's a medieval artifact and just about the only really interesting thing about it is how the heck it was made. It's worth bearing in mind that the earliest certain historical reference to it is that of the Bishop of Troyes banning its exposition on the ground that he claimed to know who had made it. Our Rabbis taught: The king has his hair trimmed every day; the High Priest, every eve of the Sabbath, and a common Priest, once in thirty days. MISHNAH: A NAZIRITE MAY SHAMPOO [HIS HAIR] AND PART IT [WITH HIS FINGERS] BUT MAY NOT COMB IT. 4 proofs against the assumption of long haired devoted Jewish person. 1 exceptional proof in case of a "Nazir". So Robert ,what Information you have to back the assumption of a long haired Jesus? I never said that Jesus had long hair! I'm challenging your assumption that everyone in that era had short hair. You have produced no contemporary evidence whatever, apart from a text relating to customs in Corinth. We cannot assume that they were identical everywhere. So Nazirites were not allowed to cut their hair. That is well known, and says nothing about how often other people cut theirs. The Talmud is late, and not always accurate, but if it is making a point of how often priests cut their hair, not only do we not know whether this can be retrojected to the Second Temple period, but we have to ask why they bothered about making a rule if everyone routinely cut theirs anyway. It's rare, to say the least of it, for anyone to make a law about anything which is not happening. Do you have any 1st Century Palestinian evidence about hair length to support your assumption? If not, what's the use of arguing? Why does it mean so much to you? If we have no evidence, we have no evidence. The lack of evidence to the contrary can only lead us to surmise that the historical Jesus would have looked very much like a first century Jew, whatever that may have been. It can not be assumed that he was of the Caucasian persuasion, despite medieval depictions, including the shroud, with its dubious trail of authenticity. Barbigerous depictions of Christ are probably accurate, but even this cannot be certain. I have heard claims of a hirsutorufous Jesus, but there is nothing to back the historicity of this theory. (Although I do not dispute the fact of there being red-headed Jews, even listed in Biblical accounts.) The truth of the matter is that we can by no means extract any historical evidence to reveal the coiffure of Christ. Danny,it's highly improbable that the historical Jesus was redhaired. Redhaired people were considered negatively "marked"people around Telmudic era. and this would automatically "stigmatized" Jesus in the eyes of his adversaries historically speaking. I would assume an average or an ordinary-looking galilean man to a degree Judas Iscariot had to actually point Him out from the rest of Galilean men. will give us an approximate or general idea of what a middle eastern man from approximately the same period would have looked like. The Fayum portraits just posted are of the 2nd or 3rd century CE, not the 1st. Pat L.
it's highly improbable that the historical Jesus was redhaired. So as not to be misunderstood, I discount the hirsutorufous (red-headed) theory of Jesus as mere fantasy with no historical evidence. 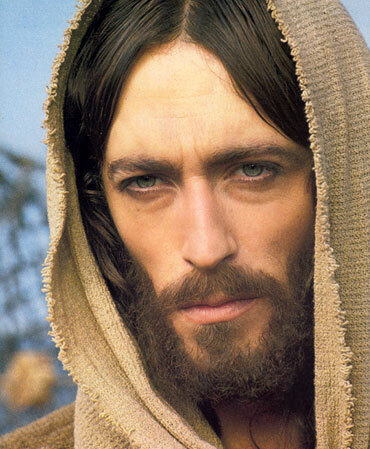 As you mentioned, He most probably would have been an average Galilean Jew: dark hair, olive completion, beard. Focusing on the image of Christ, just like the focus on relics such as the Turin shroud (as Pat mentioned earlier) seems to draw our attention away from the main historical and religious studies of Christ. However, you are right in pointing out that Christ was a Jew - not Caucasian, not Negroid, not Mongoloid - but a Jew, and as such looked like one. the Jews of the time probably looked like Palestinian Arabs do today. People don't, except under unusual circumstances, move about en masse. What happens is that a region is conquered by a relatively small number of invaders, and the ordinary people, over a period, re-invent themselves. It's been shown, for instance, that quite a small number of Saxons and others actually invaded England, but in time, the entire population came to adopt Saxon culture and language, and regard themselves as Saxon. Something similar has probably happened in Palestine. Many of the Arabs there are probably the descendants of ancient Israelites. A prominent U.S. chemist who pronounced the Turin Shroud a fake came to believe it could have been the burial cloth of Jesus, a television documentary says. Ray Rogers, a chemist from the Los Alamos National Laboratory in New Mexico, helped lead the Shroud of Turin Research Project in 1988. Radio carbon-dating conducted in 1988 on threads of the shroud dated the making of the cloth to hundreds of years after the death of Jesus. Those threads, however, proved to be part of a repair made to the shroud in the 16th century, Rogers said in a video made shortly before his death of cancer in March 2005. "The worst possible sample for carbon dating was taken," Rogers said. "It consisted of different materials than were used in the shroud itself, so the age we produced was inaccurate." Rogers said he continued investigating the shroud and began to believe it was genuine, The Daily Telegraph reported Saturday. "I came very close to proving the shroud was used to bury the historic Jesus," Rogers said in the video. I was working at Brookhaven National Lab near the time when these samples were run and was acquainted with Gar Harbottle, a radiochemist, who actually did lead C14 tests on the shroud. I am sure they would have been eager to report a first century date if in fact that was what the data had shown. The tests confirmed the medieval date from the earlier study. Some time prior to the radiocarbon tests, a Chemist whose name I forget, gave a very well-attended lecture at BNL in which he described his own microscopic and spectroscopic studies of the cloth. On the one hand, the coloring material looked like man-made pigments, such as ochre. On the other, it contained pollen samples which could only have come from middle-eastern plants. Finally at the end of the lecture he stopped and said "I feel like I have to read this to you" It was a letter from the 15th century bishop of the diocese in France where the shroud originally surfaced, in response to inquiries from Rome. They wanted to know what the hubbub was about. The Bishop responded (I quote from memory). "There is no mystery here because I know where the shroud was made , who made it and how he made it"
In a nutshell. The shroud has never been a mystery except to those people who love mysteries! Did the bishop say anything about how it was made? He probably didn't, or you'd have quoted it already. It sounds like something made in the Middle East, maybe as a fake relic. I have a cross that contains the pinky toe of Saint Theophan the Recluse. There is no doubt to its authenticity, the guy who sold it to me on E-bay gave me a certificate which said, without doubt, its authentic. Did you get a certificate of authenticity for that certificate? "... A form of twisted symbolical bedsock ... the true purpose of which, as they realised at first glance, would never (alas) be revealed to mankind." I'm amazed by the fuss people still make over relics. Not so long ago they dug up Cardinal Newman's grave (officially) for relics, and I was glad when they found the bones had completely dissolved. They got various metal bits from the coffin, but he's still there, where he wanted to be, with his friend. He was probably gay (not that the RC's are admitting it!) and they were buried together. No. he didn't say how it was made. But presumably this was done by laying or pressing the cloth over a statue (or a reclining person) who had been "dirtied up" with some greasy pigments. The highest projecting points (eyebrows kneecaps, etc) would then have transferred the stain to the cloth, giving the shroud its eerie skeletal look. Kind of obvious and fairly realistic as to both method and effect. I think that the reason he quoted the letter was because it was beginning to appear that scientists were chasing after tabloid sensation when in fact there should have been no real issue. Savvy people of the time were not taken in. So far as I know the Church never labeled it as a fake - but why should they? I don't doubt that there were plenty of skeptics then, as now, who were quick to express that opinion. PS - I never scoff at people who do believe in the miraculous. They have just found a rare shroud from the time of Jesus. This shroud has a much simpler weave than the Shroud of Turin. This new shroud raise serious questions about the authenticity of the one in Turin. (1) As Good Shepherd, Priscilla catacomb/Rome, 4th cent. The first bearded pics originated under the influence of Byzantinan art, I think. Many still believe it is the real burial cloth of Jesus. Part of this controversy arises from the fact that, until now, it has proven difficult to understand the mechanisms of its formation and to obtain by simple means an acceptable replica of the shroud and its features. That's why many call it "an impossible image." "The most likely explanation, in my opinion," said Garlaschelli, a professor of organic chemistry at the University of Pavia, "is that the images, as it can be seen nowadays, is a chemical etching of the cellulose of the linen fibers. This degradation can be accounted for by non-neural impurities contained in the ochre that a mediaeval artist used to generate the image by a simple frottage technique. The original pigment came off during the many years of the shroud's history, leaving the well-known weak ghostly image. This hypothesis, originally put forward by Joe Nickell, had never been experimentally tested before." As he did fifteen years ago with the "miracle" blood of St. Januarius, Garlaschelli set out to reproduce the full-sized shroud using materials and techniques that were available in the Middle Ages. Garlaschelli placed a linen sheet, hand woven for the occasion, flat over a volunteer and then rubbed the linen with a pigment containing traces of acids. The face was obtained from a bas-relief in order to avoid the inescapable wrap-around distortion. Garlaschelli then retouched the image by hand after laying the cloth flat on a tabletop. He artificially aged the pigment by heating the cloth in an oven and washing it, removing the pigment from the surface but leaving the fuzzy, half-toned image similar to that on the shroud. Garlaschelli then added blood stains, burnt holes, scorches, and water stains to achieve the final effects. The result is impressive. The Shroud of Turin and Garlaschelli's replica look remarkable alike. "Our goal was not to show that the Shroud of Turin is a fake, but rather that it is possible to reproduce something which has the same characteristics of the shroud," said Garlaschelli. "We have also shown that pigments containing traces of acidic compounds can be artificially aged after the rubbing step (by heating the cloth in an oven) in such a way that, when the pigment is removed, an image is obtained having all the characteristics of the Shroud of Turin. In particular, the image is a pseudo-negative, is fuzzy with half-tones, resides on the topmost fibers of the cloth, has some 3-D embedded properties, and does not fluoresce. Garlaschelli does not expet to convince the believers, which was never his goal. "If they don't want to believe carbon dating done by some of the world's best laboratories, they certainly won't believe me. However, we think that our attempts represent an interesting addition to the ongoing debate on this maybe-not-so-impossible image"
On coast to coast am (www.coasttocoastam.com) the guest talked about the shroud and this in paticular. He said, do we all berry our dead today in the same coffins, same cloths as eveyrone else? Theres compelling evidence on both sides of the authenticity. There is also this 4th-century mosaic from the villa at Hinton St. Mary, Dorset, England which some authorities have supposed to be a beardless Christ superimposed on a Chi-Rho. 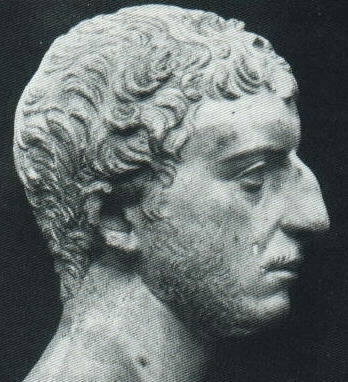 Others, however, have suggested that the figure might be a representation of the fourth century emperor Magnentius who rebelled against Constantius II in A.D.350. Page created in 2.29 seconds with 71 queries.